pa·ni·o·lo [pah-nee-oh-loh] noun. Hawaiian. A person who herds cattle; cowboy. Cowboys don’t necessarily come to mind when one conjures thoughts about Hawaii. White sand beaches, perhaps… Or swaying palms, grass-skirt sporting natives, but not cowboys. Paniolos have a style influenced by Mexican vaqueros, expert horsemen, who trained the Hawaiians to rope cattle over two centuries ago. Today, the tradition is still alive and celebrated on the island of Maui every Fourth of July. 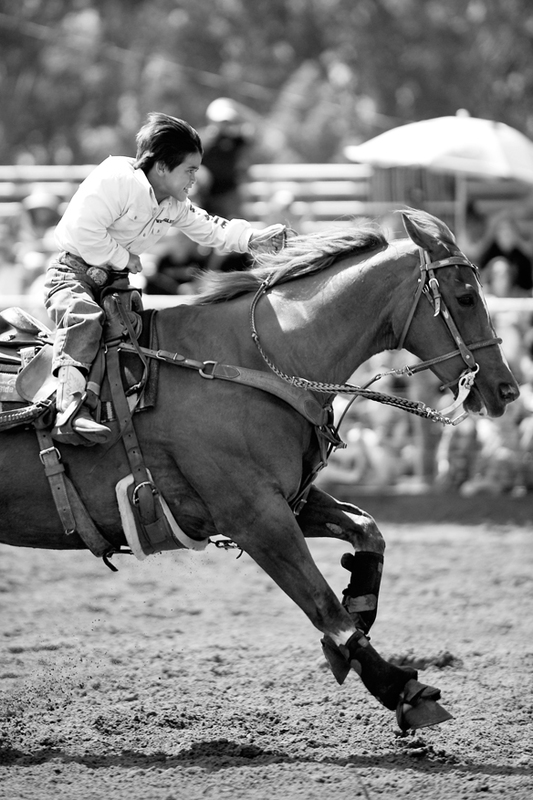 On-lookers sit in the weathered bleachers of Oskie Rice arena, watching cattle-wranglers from every island and every age display their rodeo competition skill.